Air Malta together with Sky Gourmet will be assisting Hospice Malta Movement in raising awareness of the Hospice’s aims and objectives amongst Air Malta’s customers. During the month of August Air Malta’s cabin crew will be collecting donations on board the airline’s flights to help this organisation. These donations will support Hospice to continue to provide and promote the highest standards of palliative care to persons with cancer, motor neurone disease and other terminal diseases, as well as their families and carers. Mr Kenneth Delia, General Manager of Hospice Malta said, “We thank Air Malta for once again assisting us this year. As a voluntary, non-profit organisation we depend on the support given by companies like Air Malta and the general public in order to keep on providing services to persons suffering from a number of terminal diseases”. 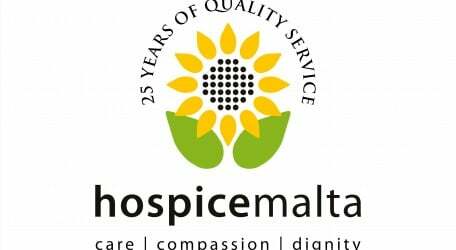 Hospice Malta is a voluntary organisation inspired by Christian values. It was founded in 1989 and promotes and provides the highest standards of Palliative Care in a holistic manner for persons reaching end of life with cancer, motor neuron disease, cardiac, respiratory and renal diseases. More than 7000 patients and their families benefitted from Hospice services. Presently Hospice receives an average of 50 new referrals each month. Visits to patients and families amount to around 7000 per year. Services provided by Hospice include home care, a day therapy unit, hydrotherapy, respite, patient transport, loan of specialised equipment, hospital support, a children’s summer programme for children of patients’ and main carers and bereavement support for relatives and significant others. All these services are provided free of charge to all patients. Funds are generated mostly through donations and on-going fund raising activities organised throughout the year. Annual events and fund raising initiatives include the Sunflower campaign, Figolli at Easter time, BBQ, Midnight Walk, Poinsettias and cards at Christmas time. Others include donations to Hospice instead of souvenirs for special occasions and activities organised by third parties for the benefit of Hospice. One can support Hospice by becoming a member, by participating in fundraising activities, by monetary donations and also by becoming a volunteer with Hospice. Members are kept informed of all activities to which they are invited to participate and give their support.